“I accept the plaintiff’s submission… that the Tribunal has failed in its duty to inform the plaintiff and other claimants adequately about progress in the preparation of the Stage 1 report, and that they have been adversely affected as a result. The Tribunal now expects its report to be published in October this year. Ngapuhi Speaks is referenced in the March-April 2014 issue of NZ Geographic, in an article entitled A Sovereign Act, on the WAI claim. It has also become a textbook for several university courses, with members of the panel presenting seminars throughout the country. Commentary on the book published in the Catholic newspaper Welcom was this year the subject of a complaint to the Press Council, which was not upheld. 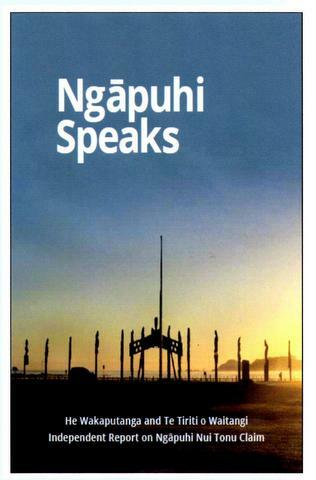 Publishers Te Kawariki and Network Waitangi Whangarei are investigating the publication of a resource book for school students on the documents, based on the evidence given at the hearing by Ngapuhi experts.